Having a beef stir fry is amazing, especially when it's made in a real wok. 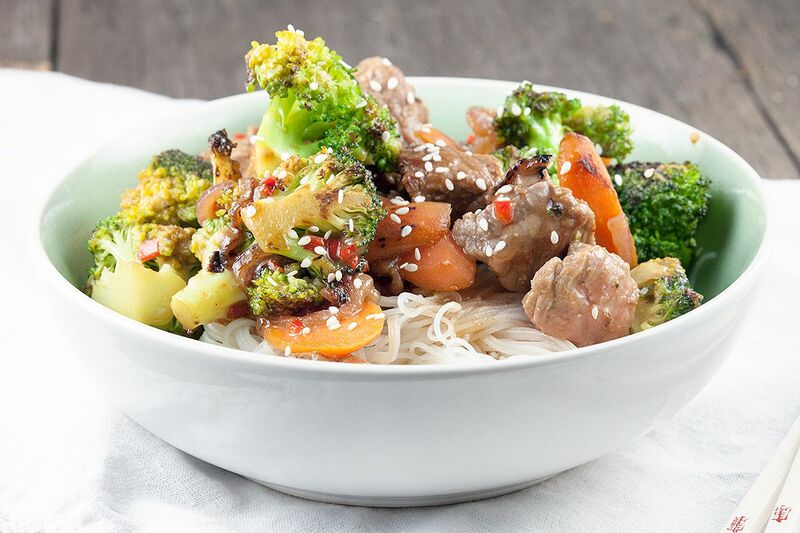 You can add all kinds of vegetables and mix with homemade hoisin sauce. It’s very easy to make your own hoisin sauce. Check here how you can create your own. FILL a medium-sized pan with water and bring to a boil. PEEL the carrots and slice them into thin pieces. CHOP the broccoli into florets, not too big. PEEL the red onion and slice into half rings. REMOVE the red pepper seeds, depending on how hot you like your stir fry, and finely chop the red pepper. SLICE the beef into bite-size pieces and set aside. HEAT oil in a large wok on high heat and stir fry the carrots for a minute, then add in the broccoli florets and red onion rings. 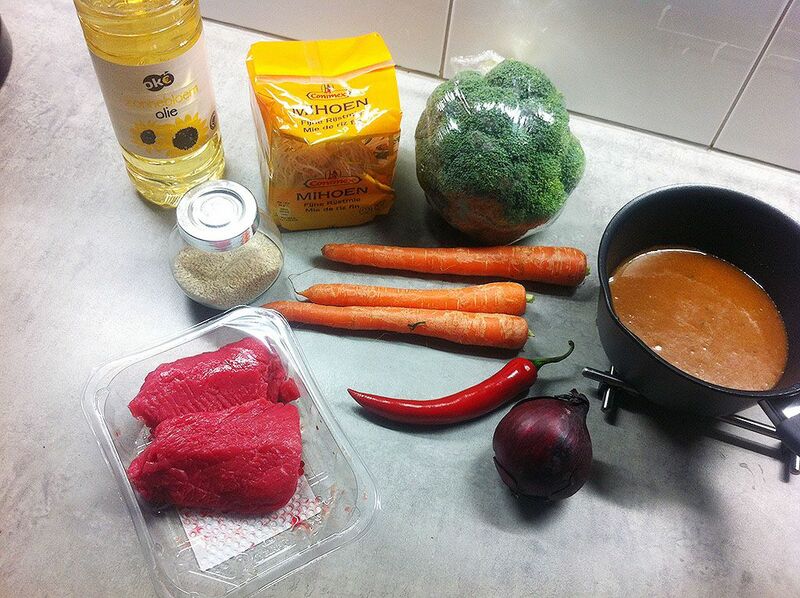 After a few minutes, you can also add the beef pieces. Meanwhile COOK the rice noodles in the boiling water for about 2 to 3 minutes. Finish the stir fry by adding the chopped red pepper. 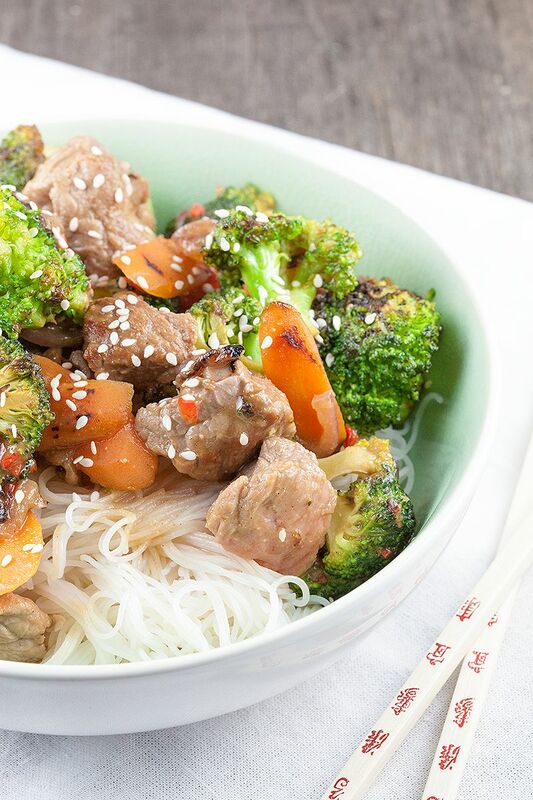 If the broccoli and carrots are a bit tender, but still crunchy, add the hoisin sauce. Stir well and season with pepper and salt. 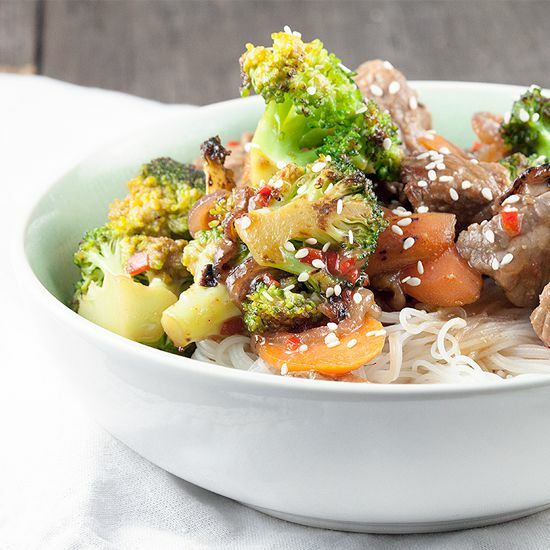 DRAIN the rice noodles and serve immediately with the beef stir fry and finish with some sesame seeds. Enjoy! Great dish. I don’t make it often enough. You should, it’s so easy and delicious!